Al is using Smore newsletters to spread the word online. In Reading class we have just come to an end with our non-fiction unit! I am so proud of all my scholars on mastering their text features! 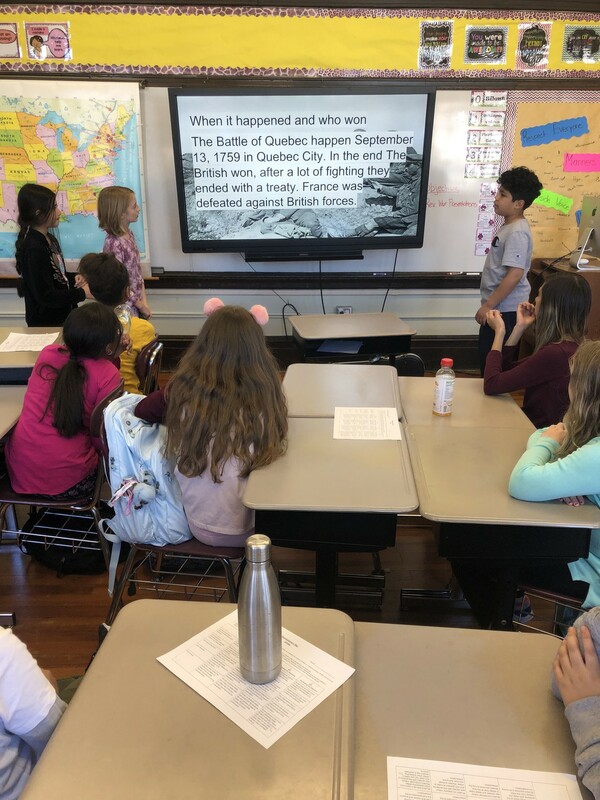 We have worked on chronological order, context clues, main idea, different types of print, captions, index, and a variety of other text features. We have just started our poetry unit! 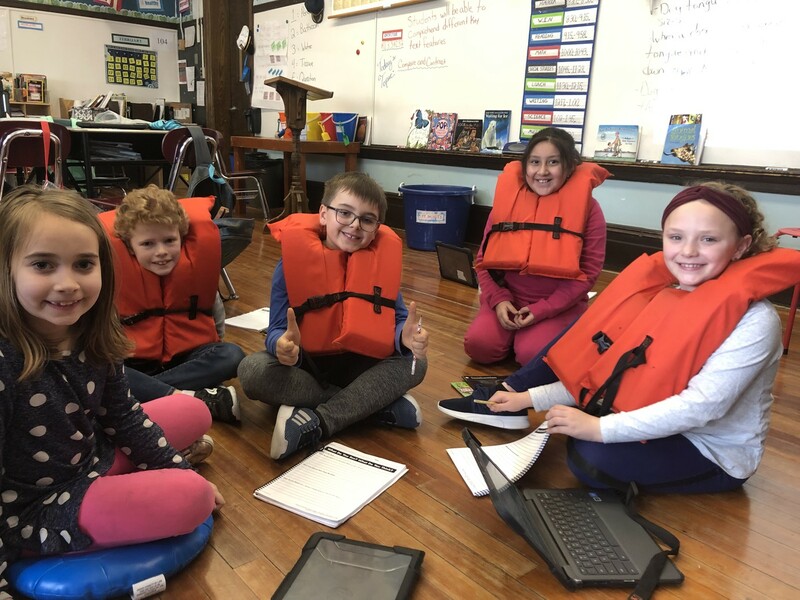 For the month of April we will be working on what we notice about different types of poetry, as well documenting what we observe from different visual elements of poetry. 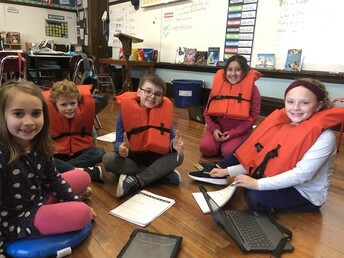 Scholar will be able to view different poets and their work, as well being able to express their feelings! 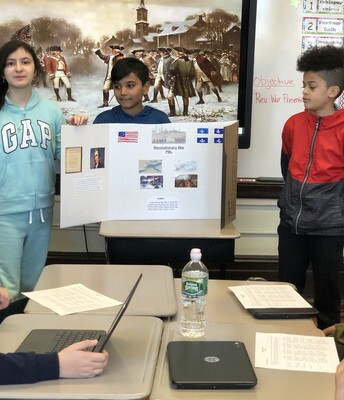 The fourth grade students at Theodore Roosevelt School celebrated History Day by completing a biography on an important historical figure from the American Revolution. Students created display boards, documentaries, google slide presentations, and skits for their projects. The biographies included important people such as George Washington, Abigail Adams, Benjamin Franklin, Tadeusz Kościuszko, and many more. 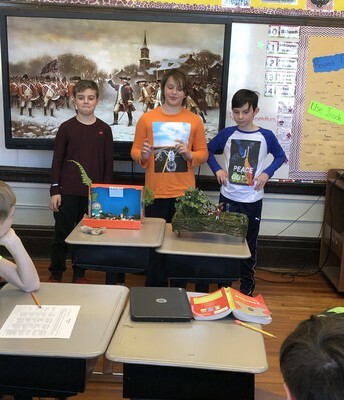 All of the Fourth grade students should be very proud of themselves for completing these amazing projects! They did an excellent job! 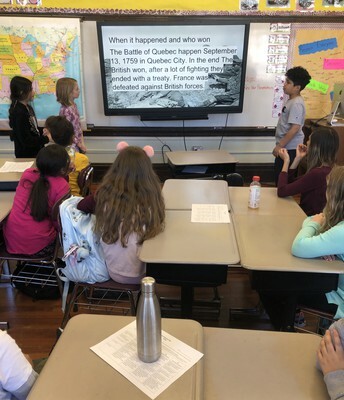 The 5th grade social studies classes are continuing their "Road Trip Through History". 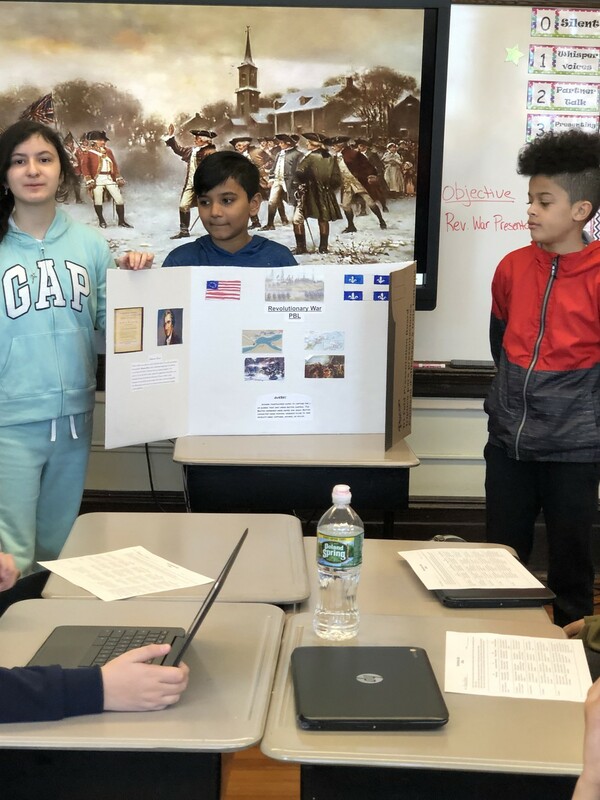 They are currently wrapping up their Revolutionary War unit, where in which the students researched the mounting tensions between the colonists and the British. 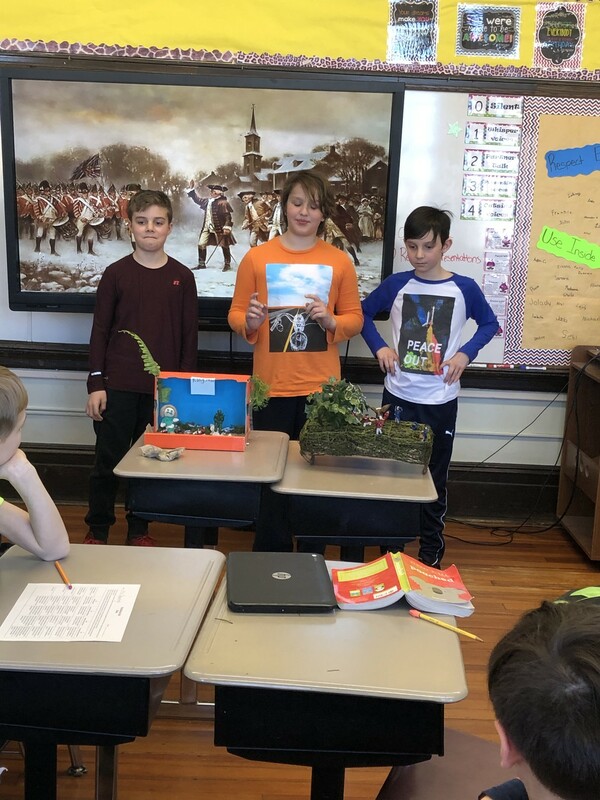 The students understand the tensions that lead to the serious conflicts which eventually lead to the American Revolution. 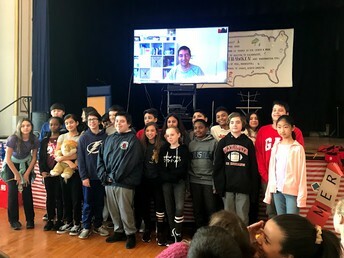 In addition, the students delved into the Declaration of Independence and how it was written to show the world that the US was a separate country from Great Britain. As the students continue their trip though history they will understand that a constitution outlines a citizens rights and responsibilities and establishes a system of checks and balances to ensure a balanced government. 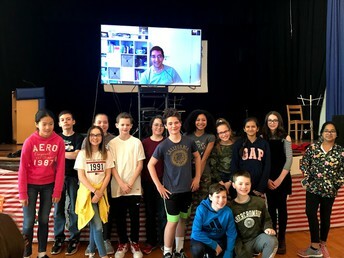 The Sixth Graders truly enjoyed their “Skype in the Classroom” experience with the author of The Three Hares, Geoffrey Simpson! The students had the opportunity to learn a little about the author before they had a “Q&A” session with him. Mr. Simpson was chosen because he was able to overcome his own challenges as a reluctant reader and struggling student to become an honors graduate of Kent State University and having his debut novel published. 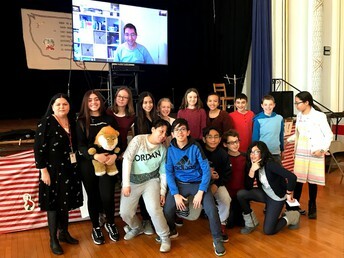 His presentation focused on the theme of perseverance and he kindly shared his life experiences with the kids to show that anything is possible if you work hard enough. 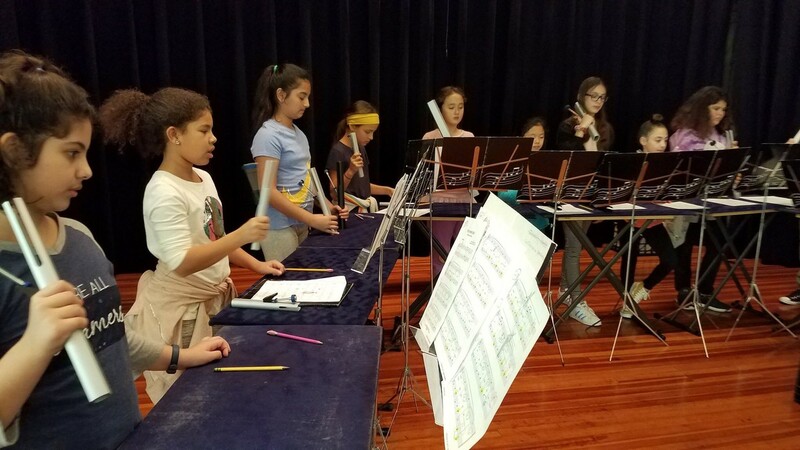 The TRS 5th & 6th grade Chorus and Bell Choir have been practicing very diligently and are excited to present their Spring Concert! It will be in the TRS auditorium on Friday, April 5 at 9am & 10:15am. Admission is free and parents are welcome. 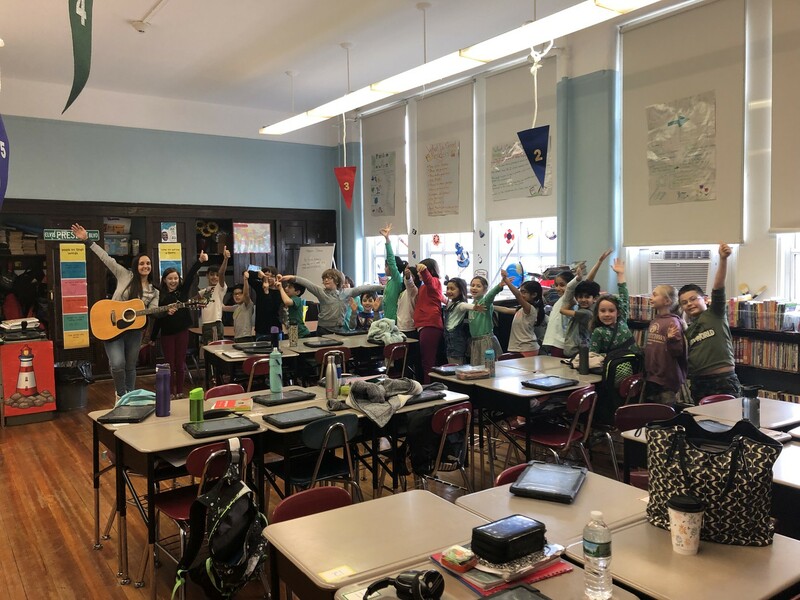 The following week, both groups will perform again at the Weehawken All-District Concert which will be held on 4/11 at 6:30 pm in the High School Auditorium. There will be performances by every ensemble in the district from Webster, Roosevelt, and WHS, including the TRS Bell Choir, Chorus, String Enrichment, and 6th Grade Instrumental program! We hope to see you there! One more thing! Mr Gorman & Ms Hochhauser want to announce that there will be auditions for 4th & 5th graders for next year's Chorus and Bell Choir coming up in June. Details will be announced soon... Make MUSIC! 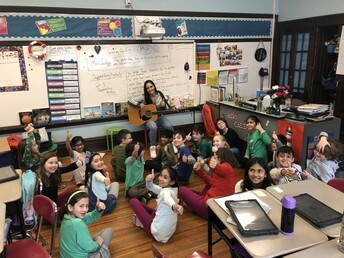 April 5- TRS Spring Concert 9:00 a.m. and 10:15 a.m.
April 25- SEPAC Meeting 6:00 p.m.-7:00 p.m.